Old Town Map 4, originally uploaded by alister. Save Our Old Town are campaiging against the sell-off of chunks of the historic old-town to developers. The Canongate and the rest of the old town are not just shortbread tin tourist theme parks, they are reall communities where working class people have lived generation after generation for hundreds of years. 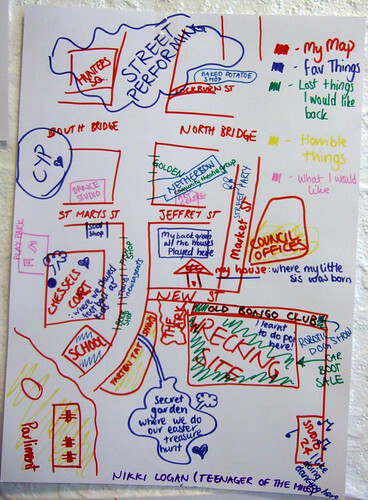 These pictures show how residents view their own area as a place to grow up and to live and how it has changed.